Bio: Jonathan Collier is currently the Chief Petrophysicist at Energen Corporation located in Birmingham, AL. His efforts focus primarily on providing technical support for the exploration and exploitation of oil and natural gas from “Unconventional,” Organic-Rich Shales within the United States. He received both his BS (’96) and MS (’98) in Geology from Auburn University. He attributes his success in the oilfield to the passion for geology that was initiated and fostered by the Faculty and Staff in the Geology Department at Auburn. Jonathan is married to Rounak Collier and they have a son, Julian. Currently, Jonathan is a member of the Auburn Geology and Geography Advisory Board, Auburn University’s College of Science and Math Dean’s Leadership Council, and the Camp Smile-A-Mile Board of Directors (Alabama’s Program for Children with Cancer). Bio: Thirty-five years prospecting and management in exploration, exploitation, and production roles for an integrated oil and gas E and P company. Soon to retire from current position as Vice-President of Exploration and New Ventures for Devon Energy. Throughout career focused on prospect evaluation, development, prioritization and presentation. Over 17 years working principally U.S. Gulf Coast onshore (largely South Texas), with five (+) years in International (primarily Far East basins) projects. Since 1999, in management roles for Devon, in Western, Gulf Coast and Southern Divisions and Corporate Teams. Currently interests include economic and strategic evaluation of exploration opportunities, innovative application of technology for resource delineation and expansion, and cross-disciplinary integration applied to solving the unique challenges in “unconventional Resource” plays. Outside of work interests include hiking and outdoors (hunting, fishing, camping), golf, travel, reading, our family and ‘working around the yard’ (not really gardening). Lots of time spent on non-profits and volunteer work. Wife Marynm and I have nearly 35 years together. Bio: Jill Johnson is a professional geologist with Geosyntec Consultants with almost 20 years of experience managing and providing technical expertise on sites with environmental impacts from chlorinated solvents, pesticides, and metals for private and public clients, including environmental site assessment and remediation, groundwater monitoring and remediation system optimization, due diligence and environmental compliance, innovative sampling techniques, and hydrogeological and geochemical site characterization. She opened the Pensacola Geosyntec office in 2007. Ms. Johnson received her B.S. in Geology from Auburn University (class of 1998) and M.S. in Hydrogeology from the University of Kansas. She holds professional geologist (P.G.) licenses in Florida, Alabama, Louisiana, and Mississippi and has published and presented on various topics including innovative site assessment techniques, selenium and uranium geochemistry, characterization and remediation of phosphate mining wastes, and passive sampling techniques. Jill was a founding member of the Auburn University Department of Geology and Geography Advisory Board and is proud to continue to be part of it. She is married to Adam Johnson, an Auburn mechanical engineer, and they have four beautiful daughters, Parker, Amelia, Ida, and Tessa. Bio: Larry Prince is currently the Distribution Engineering Representative for Opelika Power Services. Since joining the department in 2011, he has transitioned from mapping the electrical distribution system to mapping our fiber to the home deployment, the first in Alabama, and he has now advanced to the title of Distribution Engineer. Larry is responsible for the distribution automation schemes (smart grid), site development and distribution system expansion. He met his wife, Amanda, while at Auburn, and they have been married 7 years and have 2 children, Fischer (4) and Sadie (2). They feel lucky to still reside in the Auburn area and live on some land. Amanda and Larry enjoy serving on the Young Life Committee, serving the Walk to End Alzheimer’s, working outside, and taking the kids to any Auburn sporting event. Bio: Kristen is a Huntsville, AL native who graduated Auburn University in 2012. While at Auburn, she worked with Dr. Mark Steltenpohl on an Undergraduate Research Fellowship that took her to Norway to study the Scandinavian Caledonides. After Auburn, she moved on to Virginia Tech to continue pursuing tectonic studies in the Himalaya. She received a Master's degree from Virginia Tech in 2014 and then moved to Houston, TX to work for ExxonMobil. Kristen has been at ExxonMobil since then and is currently on a Gulf of Mexico team. Bio: James is President and Principal Consultant of his firm that he started in 2016. He has over with forty-seven (47) years of experience in geotechnical, geological, environmental and hydrological with the Georgia Department of Transportation Forest Park, Georgia (4 years), Law Engineering Consultants of Marietta, Georgia (4 years) and DuPont Engineering (35 years) in Beaumont, Texas. He was a member of the first class of Auburn University B.S. Geology graduates in 1972. Due to the small number of students and a single degree program, he was able to study under department head T. J. Carrington in a special problems research course for a year and mapped the Shelby County Cove area. Professor G. F. Sowers was his Georgia Institute of Technology mentor in research where he earned his M.S. degree in Geophysical Sciences (1977) working with Landsat 1 photos of the Georgia Coast along with gravity surveys and determination of the basement volcano rock, age dates and plate tectonics. In the 1970’s he worked on high-level nuclear isolation in salt domes, the building of MARTA city transport in Atlanta and completion of highways in Georgia. The latter part of his career was spent on deep well injection and ground water production along with advocating for environmental protection and risks assessment. He worked on the Land Disposal Flexibility Act that was passed into law in 1996. In 2001 he was part of an expert panel report from US EPA to Congress on the Risks associated with Class I wells. James was President of the Underground Injection Technology Council from 2006 to 2016 and served in the 1980’s on the Research Board for the Ground Water Protection Council. He is a licensed professional geologist/geoscientist in Georgia (1979), Texas (2003) and Louisiana (2014). James is married to Kathleen and visits the Loveliest Village On The Plains, Auburn yearly. Bio: Tim is currently a Senior Research Advisor at ExxonMobil Upstream Research Company in Houston, TX, with specialties in the sedimentology and stratigraphy of siliciclastic rocks. He received his BS in Geosciences from Penn State in 1983, his MS in Geology from Auburn in 1990, and a PhD in Geosciences from the University of Arizona in 1995. Tim was a mining geologist for P and N Coal Company from 1984 to 1988. He was a Postdoctoral Fellow at Colorado State University from 1994 to 1996, before joining Exxon Production Research in Houston, TX in 1996. At Exxon, and then ExxonMobil, Tim worked as a research geologist on fluvial sequence stratigraphy, and applied these concepts during foreign assignments with Imperial Oil in Calgary, Alberta Canada, and then seconded to Shell UK in London, England. After an assignment with ExxonMobil Production Nigeria back in Houston, Tim left the industry to join the faculty of the Department of Geosciences at the University of Minnesota Duluth, from 2002 to 2006. In 2007, Tim returned to the oil and gas industry, to ExxonMobil Exploration Company back in Houston. He joined ExxonMobil Upstream Research Company in 2009. Tim lives in The Woodlands, TX with his wife Laura and their son, Noah. Bio: Wesley received a BS in Zoology from Auburn University in 1979 and a MS in Geology from the University of Tennessee. Upon graduation in 1982, he went to work for Exxon Company USA in Pensacola, Florida. Throughout a 34 year career at Exxon and ExxonMobil, he also had various production assignments in New Orleans and Houston. In 2007, he joined the Operations Geology Group in ExxonMobil Exploration Company. Until his retirement in 2016, he served as a Operations Geology Senior Technical Advisor for Exxon's +50 Operations Geologists around the world. In addition, he recruited for ExxonMobil at Tennessee. Wesley has also been an active Boy Scout leader for 26 years and he has served on the Alumni Advisory Board for the Department of Earth and Planetary Sciences at the University of Tennessee. Wesley and his wife (Cindy - Auburn '80) live in Kingwood, TX. Bio: Robert Drake is the Mine and Exploration Geologist for Specialty Vermiculite Corporation in Enoree, SC. In this capacity, he is responsible for identifying and securing new reserves of vermiculite ore in the Upstate region of SC. Additionally, he handles local, state and federal permitting and compliance for the SC vermiculite mining operation. Most recently, Robert assumed the role of Environmental Health and Safety Director for Specialty Vermiculite Corporation's North American facilities. As EH and S director, he will develop, implement and assess environmental permitting and compliance and workplace safety programs in all of Specialty Vermiculite's US and Canadian operations. Robert received his BS in Geology from UNC-Chapel and was enrolled in the Auburn University Geology Masters program, 1996-1998. He is a member of the Auburn Geology and Geography Advisory Board and an upcoming member of the South Carolina State map Advisory Committee. Robert currently lives in Simpsonville, SC. Bio: Richard works in the R and D Group at Southern Company. His current position is the Program Manager for Geosciences, Carbon Utilization and Storage. He manages the commercial development of generation and environmental technologies related to clean coal, bulk energy storage, CO2-EOR, geologic CO2 sequestration, and serves as the company's technical subject matter expert with conventional and unconventional energy gas and natural resources development. He speaks internationally on new and innovative technologies being developed and deployed at Southern Company. Prior to this role, Richard worked for 15 years in Southern Company’s Environmental Engineering organization working with foundations analysis, groundwater hydrogeology, power plant siting and decommissioning. Prior to working at Southern Company, Richard worked as an environmental regulator in the Water Division at the Alabama Department of Environmental Management. Richard has a PhD in Engineering from the University of Alabama at Birmingham, holds a MS and BS degree in geology from Auburn University, and holds a MS degree in Environmental Management from Sanford University. Richard previously served on the Alabama Board of Licensure for Professional Geologists and is currently the President of the Alabama Geological Society. Richard is a research professor and faculty in the Department of Mechanical Engineering at the University of Alabama at Birmingham and is an adjunct instructor teaching energy and geology classes at Samford University. Bio: Jochen is Executive Vice President at The Atlantic Group, LLC (Atlantic), a mapping, remote sensing, and geospatial services provider headquartered in Huntsville, AL. There he oversees the Operations Business Unit of the company, to include Acquisition, Production, Project Management, QA/QC, and R and D. Jochen received his M.S. in Geology at Auburn in 1996 and his M.S. in Geography from Mannheim University, Germany, in 1998. He has over 25 years of working experience in the geospatial field. Prior to Atlantic, Jochen has worked as Environmental Scientist for HydroGeoLogic in Herndon, VA (2 years); Hydrogeologist, Sr. Software Engineer, and Application Development Coordinator at St. Johns River Water Management District, Palatka, FL (6); GIS Services Dept. Head, SynerGIS, Wiesloch, Germany (1); Project Manager at 3001, Huntsville, AL (3); Program Manager, Northrop Grumman, Huntsville, AL (3); and GIS Program Manager, Magnolia River, Hartselle, AL (2). Atlantic provides high-resolution airborne digital imagery and terrestrial/bathymetric lidar products to government and private clients nationwide. Geospatial derivative services include digital elevation models, contours, planimetric feature extraction, impervious surfaces, watershed analyses / hydro-enforcement, and other GIS data. Company: BP Wind Energy North America Inc.
Bio: As the Chief Executive Officer of BP Wind Energy, Laura Folse leads a multidisciplinary team that manages 13 wind farms around the U.S. and oversees interests in 1 additional project that is operated by a partner. BP Wind Energy’s portfolio represents over 2.2GW of installed capacity of which BP’s financial interest is over 1.4GW. With more than 30 years in the energy industry, Laura most recently led the operations, scientific and technological programs within the multi-billion dollar cleanup and restoration effort BP initiated in response to the 2010 Deepwater Horizon accident. She also has served as vice president of Science and Technology for BP’s Exploration and Production segment. Her organization of more than 800 scientists, engineers and technical professionals delivered research and development programs in science and technology, developed BP’s training programs for technical staff, and offered specialized consultation across BP’s global enterprise. Laura has a BS in geology from Auburn University, an MS in geology from the University of Alabama, and an MS in management from Stanford University. Laura’s personal leadership was profiled in D. Michael Abrashoff’s book Get Your Ship Together and featured in Lori Silverman’s book Wake Me Up When the Data is Over. News journalist Auberi Edler developed a French TV documentary of Laura’s business and personal life, entitled Something Has Really Gotta Give. Bio: Bob Fousek grew up in the Black Hills of South Dakota which provided a great introduction to geology. His first job out of high school was as an underground miner at the Homestake gold mine in Lead, S.D. while majoring in geology at the South Dakota School of Mines and Technology. He was drafted into the US Army in 1966 when he sat out a semester to work full-time. He qualified for the Warrant Officer Rotary Wing Flight School and received his wings in 1967. He served three years in Vietnam as a combat helicopter pilot. In 1970, he received a direct commission from Chief Warrant Officer 2 to 1st Lieutenant, Infantry, and left Vietnam in 1971 as a captain. Bob resigned his commission in 1976 and went to work in the Gulf of Mexico oil patch as a helicopter pilot. Bob returned to the School of Mines in 1989 and received his bachelors degree in geology in 1992. He then did a masters degree in geology at Auburn University. Bob currently owns a consulting company (FMR Inc.) headquartered in Auburn which provides services to the mining and construction industries. Services provided include petrographic examinations of aggregates, concrete and other materials for mining and construction companies as well as for the U.S. Army Corps of Engineers and other government entities. Other services provide by FMR Inc. include the design and implementation of drilling programs, evaluation of properties for conservation easements, due diligence investigations and other geologic services. Bob was a founding member and served as the first Chair of the Auburn University Department of Geosciences Advisory Board. Bio: Attended Auburn University, graduated 1996 with a Bachelors in Mechanical Engineering. Employed with ExxonMobil for more than 17 years. Currently Asset Manager for ExxonMobil operated oil and gas facilities in Alabama and the Gulf of Mexico. Experience working and living abroad in Luanda, Angola; Doha, Qatar; Kuala Lumpur, Malaysia. Married to Carmen Golden, and two children, Jackson and Carolynn. Other affiliations include Mobile Chamber of Commerce Board of advisors, University of Alabama Geological Sciences Advisory Board, and Alabama State Chamber Business Council of Alabama Board of Directors. Bio: Anne Hall is currently a District Appropriations Hydrologist with the Minnesota Department of Natural Resources. She is responsible for review and analysis of water appropriation permit applications for the northern 16 counties in the MN DNR’s Region 4 (southwest Minnesota). Job duties include ensuring that appropriation from high capacity wells is sustainable and will not harm the source aquifer. Additionally, she ensures that the appropriation will not impact domestic or municipal water supplies, trout streams, and rare natural features such as calcareous fens. Anne’s interests include groundwater/surface water interaction, wetlands hydrology, and glacial geology. A favorite aspect of her job is conducting field inspections of calcareous fens, which are peat-accumulating wetlands dependent on cold, calcium-rich, nutrient-poor groundwater. Anne, her husband Bruce, and their furry child, Jax, live on Clear Lake, just south of Watkins, MN. They spend their time X-country skiing and shoveling snow in the winter, restoring their lake shoreline and fishing in the spring and summer, and in the fall they hand harvest wild rice. Bio: Jordan is an Exploration Geophysicist in Chevron’s Latin America Frontier Exploration group. She graduated from Auburn with a B.S. in Geology in 2011. Undergraduate research for Dr. Uddin on the provenance of the Tuscaloosa Formation, which was sponsored in part by a department grant, provided valuable research experience and resulted in two poster publications and a GSA grant. Jordan received a master’s degree in Geophysics from the University of Houston in 2013 before beginning her career with Chevron in the Southern Africa Business Unit. Other assignments at Chevron include Operations Geology for the Permian Basin, Piceance Basin, and Rangely, CO.
Bio: Joe Howle is a 1982 graduate of Auburn University with a BS degree in Marine Biology and Biological Sciences and is a former varsity athlete (wrestling). He is currently a division Manager of Environmental Affairs at Vulcan Materials Company, the largest producer of construction aggregates in the United States. His career in environmental, community and governmental affairs spans more than 30 years. Although he works in an area of science outside of his major, he attributes his success to the well rounded education that he received at Auburn University and the guidance from his academic advisor at Auburn, Dr. Ann Williams. Joe is currently an active member of the AU Geosciences Advisory Board in COSAM. He is also a current member (chairman) of the Alabama Water Resources Commission, an advisory board for the Alabama Office of Water Resources, dealing with statewide water policy issues. He also holds various industry committee memberships concerning environmental and governmental affairs. Joe is married to the former Fayne Love ('82) of Anniston, Alabama and they have two sons (Payton and Jackson), both currently students at Auburn University. Bio: Britt Johnson is the GIS Business Analyst for the City of Auburn, Alabama. In this position he is the administrator of the City’s enterprise asset/work order management system; along with focusing on the continual optimization of business processes throughout the organization. A 2008 Auburn graduate with a B.A. in Geography, Britt started his career in GIS as an undergraduate teaching assistant. After graduation, he worked for two years as a GIS Analyst for the City of Montgomery, Alabama. Immediately prior to his current position, he worked for six years as the GIS Technician for the City of Auburn; with responsibilities managing numerous areas of the City’s enterprise GIS system. Britt lives in Auburn. Bio: Andy and Ginger met at Auburn in 1995, when Ginger was finishing her degree in Geological Engineering and Andy was starting his MS in Geology. After a summer in Lofoten, Norway, mapping stuff for Mark, Andy came back home with an engagement ring for Ginger. They got married and moved to Houston, where Ginger worked for ATC Associates as an engineer and Andy went back to school. Upon completion of his Ph.D. at Rice University in 2002, Andy joined Anadarko Petroleum in The Woodlands, TX, exploring such varied areas as the US Rockies (coalbed methane), the deepwater Gulf of Mexico, and the Appalachian basin. Currently he is a geologist on the West and South Africa exploration team, where his interests include deep water sedimentation, salt tectonics, and hydrocarbon charge. Ginger left ATC in 2002 to raise two amazing children (Morgan, 16, and Adrian, 14). Bio: Rob is a geologist in the Energy Technology Company of Chevron. His work there focuses on technical consulting for exploration projects, research and development, and teaching internal training courses. Rob graduated with an M.S. from Auburn in 1998 under the research direction of Chuck Savrda. Since graduating from Auburn, he completed a Ph.D and a post-doctoral assignment. He also has worked for Schlumberger, EnCana (USA), and El Paso E and P Company before joining Chevron. Bio: For the last 24 years, Wally has worked as a Geologist and Drilling Services Manager for Bhate Geo-Sciences, a consulting engineering firm in Birmingham, Al. After receiving a Bachelors from AU in 1979 he worded for two Geophysical firms in Michigan and transitioned into the civil engineering business at the Consumer's Power Nuclear Plant in Midland, Mi. He returned to Alabama in 1984 He has worked on numerous dams, bridges high rise residential, manufacturing, institutional and commercial projects, groundwater and environmental site evaluations and mineral evaluations in the SE USA and Midwest. His area of expertise is in the methods used in soil and rock excavations and coring, monitoring well and instrumentation installations. He is a long term member of the Transportation Technical Committee for the Regional Planning Commission of Birmingham. He has two sons and he lives in Birmingham. Bio: Art Merkle is currently a Pediatric Dentist in Fort Walton Beach, Florida. His practice focuses mainly on preventive dental care in infants, children and adolescents by using oral hygiene care, dietary changes, fluoride application and pit and fissure sealants to help strengthen and protect the hydroxyapatite in patient’s teeth. Occasionally he has to repair acid de-calcified apatite in the teeth using various dental materials to restore, replace or preserve tooth form and function. Art earned a B.S. (’79) in Geology from Auburn University and a D.M.D. (’83) from The University of Alabama School of Dentistry. Art’s interest in Geology started early in life as his father studied and later taught Geology at the undergraduate and graduate levels. Art grew up with rocks, minerals and fossils and accompanied his father and his fathers students in the field on teaching field trips. Auburn University’s Geology faculty furthered his interest in Geology by allowing him to teach undergraduate labs and training him to fabricate rock and mineral thin sections. Although he made the jump to Dentistry after studying undergraduate Geology, Art has continued to use a drill and to remain close to Geology through participation in The Auburn Geosciences Advisory Board and The Auburn COSAM Dean’s Leadership Council. Art is married to Carol Beaton Merkle and they have a son Drew Merkle who is an Auburn graduate of the School of Architecture. Bio: Eric Reardon received a BS in Geology from Auburn University in 2001. In 2002, he went to work with an engineering/environmental company, Gallet and Associates, Inc., in Birmingham, Alabama. Gallet and Associates, Inc. was purchased by Terracon Consultants, Inc. in 2007. Eric has over 17 years of experience as an Environmental Consultant. He obtained his Alabama Professional Geologist license in 2007 and became a Certified Hazardous Materials Manager (CHMM) in 2014. Eric has worked on a wide variety of soil and groundwater contamination investigations that included emergency response, contaminant delineation and remediation, aquifer characterization, human health and natural resource risk assessment, along with litigation support involving above-ground and underground storage tank releases, chlorinated solvent releases, metal contaminated sites, post-closure landfill remediation and compliance, and petroleum pipeline releases. Bio: Ken is a Selma, Alabama native who received his B.S. and M.S. degrees from Auburn in ’79 and ’81. He began his professional career with Texaco in their New Orleans office in 1981, assigned to a variety of projects on the Gulf Coast of Louisiana and Texas, focusing on asset development geology. Upon the merger with Chevron in 2000, Ken accepted a job developing the Petronius Field in the Deepwater Gulf of Mexico. That assignment has led to positions as a development geologist and static modeler for numerous projects in the Deepwater Gulf of Mexico. Ken is currently the Earth Science Advisor for Chevron’s non-operated assets in the Deepwater Gulf of Mexico Business Unit, headquartered in Covington, Louisiana. He is engaged to be married to Ms. Ellen Clark, a geophysicist and current President of the Southeastern Geophysical Society in New Orleans. After many years of working, Ken is looking forward to a retirement that is focused on traveling, cycling, football, music, and enjoying life in New Orleans. Bio: Amanda Savrda (BS, Geology, ’08) also holds an MS in Geological Sciences from the University of South Carolina, where she was a USC Partner’s in Inquiry Teaching Fellow. As a team member of the United States Antarctic Program Special Project G-432-E, her MS research focused on the thermotectonic history of rocks of Palmer Land, Antarctic Peninsula. Following graduate school, Amanda spent 5 years in the oil and gas industry as a Senior Geoscientist in ExxonMobil’s Exploration Company in Houston, Texas. In fall of 2016, Amanda returned to Auburn to pursue her master’s degree in general science education. She is currently a graduate research assistant in AU College of Education’s Department of Curriculum and Teaching, supported by NSF’s NanoBio Math Science Partnership. As a teacher, she leverages her passion for STEM and experiences in both research and industry to help students connect their every-day lives to science content in the classroom. Amanda continues to represent the department of Geological Sciences, COSAM, and AU in her student teaching and educational outreach activities. Bio: Chuck Savrda, as a former chair of the Department of Geosciences (‘05-’10), is an ex-officio member of the Auburn Geosciences Advisory Board. 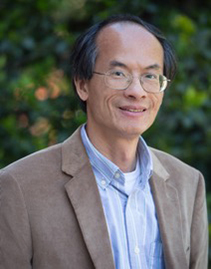 He has served on the department faculty since 1986, after completing his BA at Rutgers University (’80) and MS and PhD degrees at the University of Southern California (’83, ’86). In addition to his regular instructional duties in introductory courses and undergraduate Sedimentary Petrology, he teaches or co-teaches a variety of graduate-level courses that focus on sedimentology, stratigraphy, and ichnology. His research focuses on ichnofossils and their applications in facies and sequence stratigraphic analyses. Among other accomplishments, Chuck has served as a Paleontological Society Distinguished Lecturer, Co-Editor of SEPM’s journal Palaios, and Interim Dean of the College of Sciences and Mathematics (COSAM, ’10-’13), and is now the Paleontology Councilor for SEPM. He and his wife Diane have four daughters, all AU students—Amanda (BS, Geology, ’08; MS Science Education, ‘17), CeeCee (BS, Nursing, ’10), Allison (BS, Human Sciences, ’13) and Cassie (Human Sciences, ’18). Chuck and Diane are long-time contributors to departmental and COSAM programs that support students and faculty in Geosciences. Bio: Professor of the Department of Geosciences and is a registered Professional Geologist (PG) in the State of Alabama. After earning his Ph.D. in Geology at the University of North Carolina – Chapel Hill, he taught Geology at the University of Tromsø, arctic Norway, and then worked for the State Geological Survey in Tuscaloosa, Alabama. In 1989 he became an associate professor at Auburn University where he has taught undergraduate and/or graduate classes in physical geology, geological field methods, summer field camp, structural geology, southeastern geology, and plate tectonics. His main areas of research are in plate tectonics, the evolution of continents and mountain systems, utilizing isotopic methods to date the deformation of Earth’s crust, and characterizing the physical properties of construction aggregate stone. He maintains active research programs in the southern Appalachians and the Caledonides of arctic Norway and East Greenland. Steltenpohl has served on proposal review panels for the Geological Society of America and the DOI, and as chair for the Southeastern Section of the Geological Society of America and for the Alabama Geological Society. He was appointed by Gov. Don Siegleman to serve as the education member of the Alabama Board of Licensure for Professional Geologists and as a delegate to the Alabama Geographic Information Council. Outreach efforts include presenting lectures and leading fieldtrips for Continuing Education credit for the International Geological Congress, the Alabama Geological Society, the Geological Society of America, the Alabama Forestry Association Annual Teachers Workshop, the Atlanta Geological Society, and the AU Elderhostle Program. He has written A trail guide to the geology of Chewacla State Park and is writing the book Roadside Geology of Alabama for Mountain Press. Bio: Nick Tew is Alabama’s State Geologist and Oil and Gas Supervisor. In these capacities, he directs the Geological Survey of Alabama and the staff of the State Oil and Gas Board of Alabama. He also serves as an Adjunct Professor in the Department of Geological Sciences at the University of Alabama. Nick holds Bachelors, Masters, and Ph.D. degrees in Geology and has been with GSA and OGB for over 30 years, serving in his present capacity since 2002. Dr. Tew has extensive knowledge of Alabama’s surface and subsurface geology and the state’s rich endowment of geologically related natural resources. He is an expert in Gulf Coastal Plain stratigraphy, petroleum geology, and the regulation of oil and gas operations and is a frequent speaker on these and other topics, nationally and internationally. Nick is Past-President of the American Geosciences Institute and has previously served as President of the Association of American State Geologists, Vice-Chairman of the Interstate Oil and Gas Compact Commission, and Chairman of the U.S. Department of the Interior Outer Continental Shelf Policy Committee. Nick is a Fellow in the Geological Society of America. Bio: Paige is a Senior Scientist and Program Manager at AQS, Inc. in Salt Lake City, UT. Her focus is risk assessments, corrective action, and permitting for sites with specialized wastes. She graduated from Auburn in 1990 with her B.S. in Geology and holds a P.G. license in Utah. Paige is also on the Board of Directors for Ronald McDonald House Charities. Outside of work, Paige enjoys anytime spent in the great outdoors and especially skiing in the Wasatch Mountains of Utah. Bio: Randy West is the Director of the National Center for Asphalt Technology (NCAT) at Auburn University. NCAT is contract funded by state highway departments, FHWA, and businesses involved in road construction and maintenance to conduct research on improving safety, performance, and cost effectiveness of asphalt pavements. Randy’s interest in geology stems from assessing characteristics of local mineral aggregates that affect how pavements perform all over the world. He completed his bachelors and masters degrees in Civil Engineering from Auburn in 1987 and 1989, respectively, and completed his PhD in Civil Engineering from the University of Florida in 1995. Randy is married to Ronda Vaughn (’86) and they have two daughters that are also Auburn graduates. Currently, Randy is a member of the Auburn Geosciences Advisory Board and serves on the Board of the Association of Asphalt Paving Technologists. Bio: Daphne Williams attended Auburn University and graduated in 1996 with a Bachelor’s of Science degree in Geology. As part of her undergraduate program she participated in a National Science Foundation program with Portland State University mapping the basalts of the high steep deserts of eastern Oregon. She returned to Auburn University and received her graduate degree in 1998 under the supervision of Dr. Ming-Kuo Lee. Upon graduating, Ms. Williams went to work in the Environmental Consulting field as a geologist. Ms. Williams is now co-owner of NewFields Government Services, LLC (NGS), an Economically Disadvantaged, Woman-Owned Small Business, providing environmental services to both federal and private sector clients. With offices in North Carolina, Florida, Tennessee, Wisconsin, and Georgia, NGS specializes in the compilation, analyses and communication of Big Data to support efficient decisions. Other services provided by NGS include remedial design, implementation and optimization, dynamic conceptual site model development, wetlands development, and mining services to include design and life-of-mine studies to name a few. Through the education she received at Auburn University and the experienced she has gained over the years, Daphne encourages the coupling of geology with engineering, microbiology, and chemistry, along with a sound understanding of business, to provide efficient decisions while promoting sound science. When she is not working, she, David and their three dogs split their time between Brevard, NC, hiking in the Pisgah National Forest, and Santa Rosa Beach, FL, paddle boarding the emerald waters of the Gulf Coast. Bio: Alex Wood is founder and president of Precision Geographic Inc., where he focuses on strategic consulting in geographic information systems (GIS). He has wide-ranging experience applying geospatial technology to solve real-world problems and deliver value for clients in both the private and public sector. Alex earned a Bachelor's degree in Geology from Hanover College in Indiana ('96) and a Master's degree in Geology from Auburn ('99). His work at Auburn focused on mapping and modeling natural systems, which prepared him well for a career in GIS consulting. Alex resides in Phoenix, Arizona, with his wife and two children who enjoy traveling, hiking and hosting Auburn football parties at their home. Alex serves as membership committee chair for the Auburn Geosciences Advisory Board, and on the Conservation committee of the Desert Foothills Land Trust in Arizona. Bio: Goodney Zapp is a proud graduate of Auburn University with a B.S. in Geology, 1980. Goodney began her career with a decade in field geology layered with mine modeling and mapping and statistical analysis with Rio Tinto Group and Chevron’s mining division. The programming experience led her to a career transition to IT starting with Microsoft. Currently, Goodney is an IT strategy and program delivery consultant with Cognizant Technology Solutions, leading large and complex technology integrations and implementations for organizational growth and operational efficiencies. Goodney is keen to support initiatives in Women in STEM (Science Technology Engineering, Mathematics), WIT (Women in Technology) initiatives and participates when possible in Auburn COSAM SWSM (Society of Women in Science and Math).